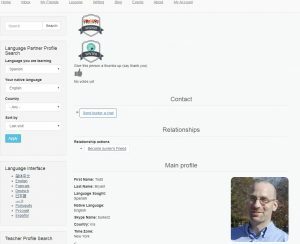 Interested in a language exchange? 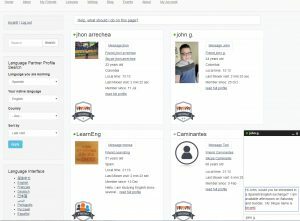 The Mixxer has been completely redesigned and now includes live-chatting and new social functions including ways to thank users for corrections and find other active and selfless learners in the community. You can read more about the update on FLTMag. In the year 264 BCE, Rome sent a military force across the Straits of Messana to intervene in a dispute between Carthage and Syracuse. This military action, a prelude to Punic Wars, represented a fundamental change of direction in the course of Roman history and capped a crucial period of expansion. Five centuries earlier, Rome was nothing more than a collection of huts on a hill near the Tiber river and its salt beds. By the time the Romans sailed for Sicily, they had mastered the Italian peninsula and invented a system of political subjugation, population control, and military calculation that would eventually make them masters of the known world. The year 264 also marks a shift in the security of our evidence and understanding of the course of Roman history. From that point onward, we have more and more valuable and trustworthy sources, but before that time our tradition is, as Mary Beard says in her recent history SPQR, “based on garbled hearsay and misunderstood myth—not to mention the propagandist fantasies of many of the later leading families at Rome, who regularly manipulated or invented the ‘history’ of the early city to give their ancestors a glorious role in it.” Our most important ancient source for the period is the Ab Urbe Condita of Livy, who composed his history during the principate of Augustus (27 BCE–17 CE). Originally, the work covered the history of Rome from its legendary beginnings, Aeneas’ flight from Troy, to his own era, the death of Drusus in 9 BCE. Of the original 142 books, only 35 have survived: books 1-10, which cover Roman history from its mythical beginnings to 293 BCE, and books 21-45, which cover 218-167 BCE. While Livy is a valuable resource for understanding the history of this time, and while the study of archaeology and the material record have supplemented our literary sources to a degree, there is still much we do not know or understand about the story of how Rome came to dominate the Italian peninsula by the middle of the third century BCE. To understand the early history of Rome, then, we must closely scrutinize and creatively manipulate every precious piece of evidence we have, and this project was intended to do precisely that. 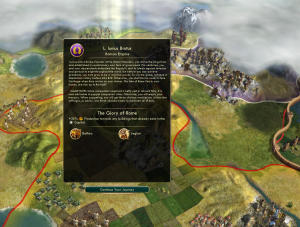 We proposed to create a simulation of the expansion of Rome throughout the Italian peninsula using the game Civilization V. Grounded on thorough research into the primary literary sources, the material record, and recent scholarship, the finished simulation presents the gamer with a more historically accurate representation of the history of Rome. Our team consisted of research intern Ian White, coding intern Catalina Ionescu, research advisor Scott Farrington, and coding advisor Todd Bryant. We expect several concrete outcomes from the project. First, we hope that the general public and the Civilization gaming community enjoy the modified game and through gameplay gain a basic understanding of the history of the period. Furthermore, we intend to integrate the mod into the Introduction to Roman History course at Dickinson College. 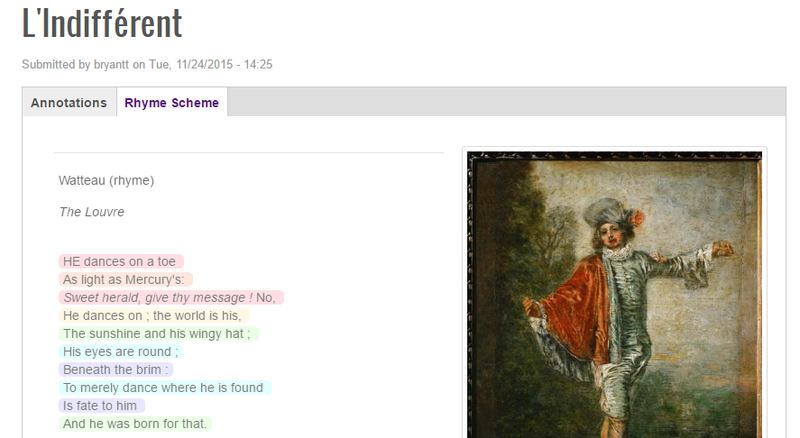 Furthermore, we hope to present the results at upcoming digital humanities conferences. We hope that by developing an innovative and creative way to interact with early Roman history, we have opened new avenues of inquiry into a historical question that is current, by no means settled, and often overlooked. The Dickinson College 1492 Historical Scenario mod for Civilization V, created by Patrick Schlee and Edwin Padilla and advised by Professor Ed Webb and Todd Bryant, aims to provide a historical environment representing Europe and the Americas with the greatest possible historical accuracy within the limits of the simulation. 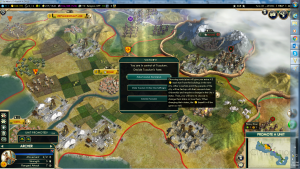 Using built-in as well as customized variables and game logic, significant phenomena of the early modern era, including the late Renaissance, early Scientific Revolution, the Atlantic Slave Trade, the Reformation and are included. 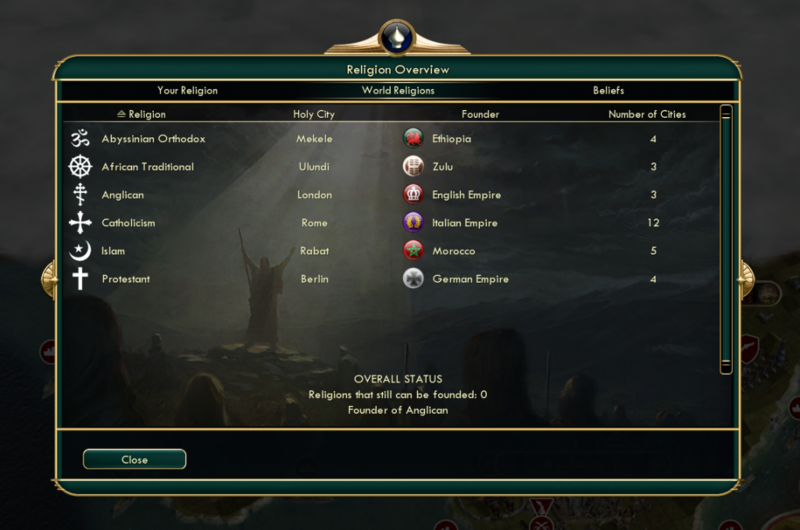 Playable civilizations include the Aztecs, the Quiche Maya, the Tarascans of Michoacan, the Incas, the Songhai, Morocco, Spain, Portugal, France, England, the Netherlands, Venice, and the Papal State. This map covers Western Europe, Mesoamerica, North and West Africa, and parts of the North and South Americas, with alterations for playability. 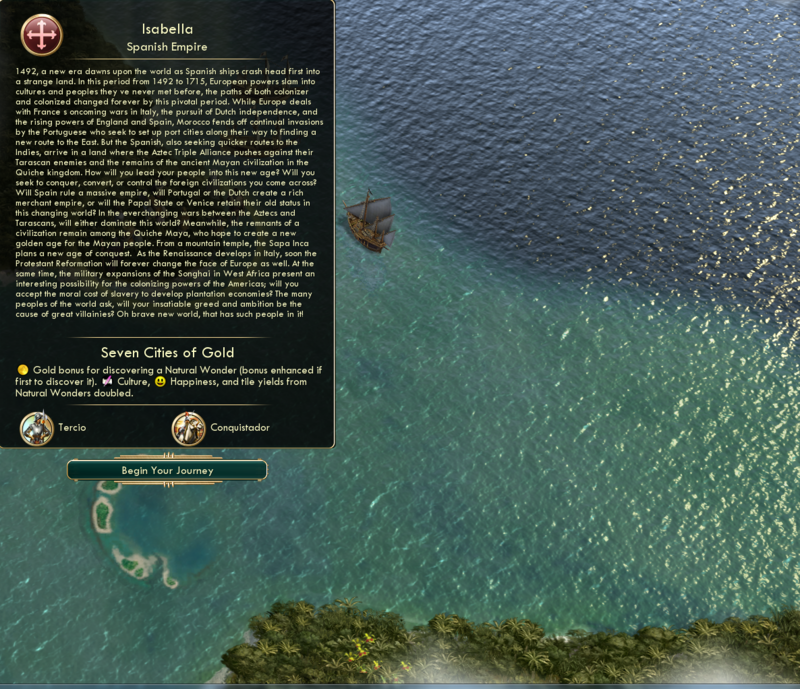 This scenario contains some educational aspects that may help promote discussion on the development of overseas empires, the conquest of indigenous American civilizations, the exploitation of indigenous peoples and the development of the Atlantic slave trade. While the moral and social implications meant to be invoked by this game may not interest some gamers, it allows this to mod to potentially be a productive tool for opening up dialogue among people who might not otherwise recognize the modern consequences of these events. 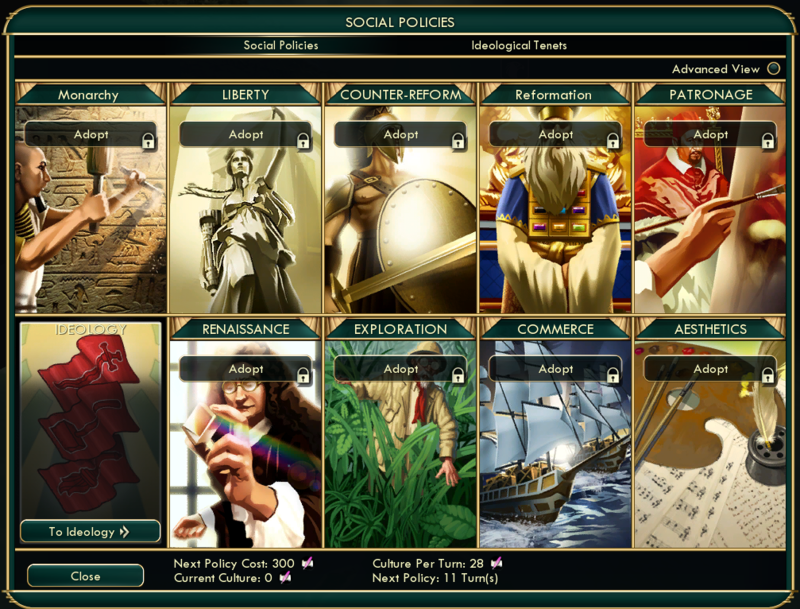 All civs included are playable, including the two new ones, and numerous city-states were created and added just for this. The map based on contemporary and more recent maps showing the geography, era-specific borders, resources and production locations. Resources, besides a few discrepancies noted in the readme, are balanced and located generally where they were during the time period. It’s also designed with certain historical events in mind, particularly wars in Italy, the slave trade, Portuguese invasions of Morocco, and constant competition between England, France, and Spain. Further details along with background research are available in the ReadMe file. – 13 Playable Civs: Songhai, Morocco, Spain, Portugal, England, Netherlands, France, Venice, Quiche Maya, Incans, Aztecs, and custom civs the Tarascan Empire and the Papal State. – significantly larger but geographically accurate representation of the Americas for larger competition. 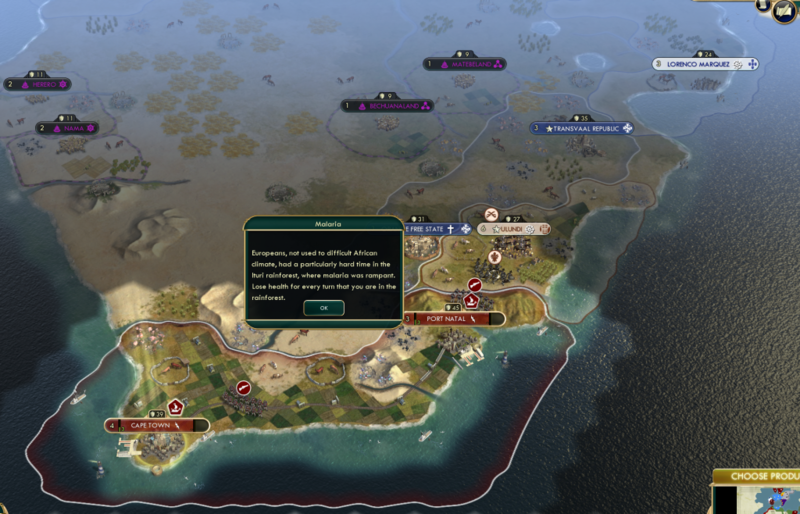 – Atlantic Slave Trade option: by getting Open Borders with an African civ or an alliance with an African city-state, players can activate a significant boost to their colonial productivity. – Play from 1492 to 1715. – Atlantic ocean adapted to make travel lengthy while maintaining playability. – New policy trees for the era: Renaissance, Monarchy, Reformation and Counter-Reformation, all with notable bonuses. 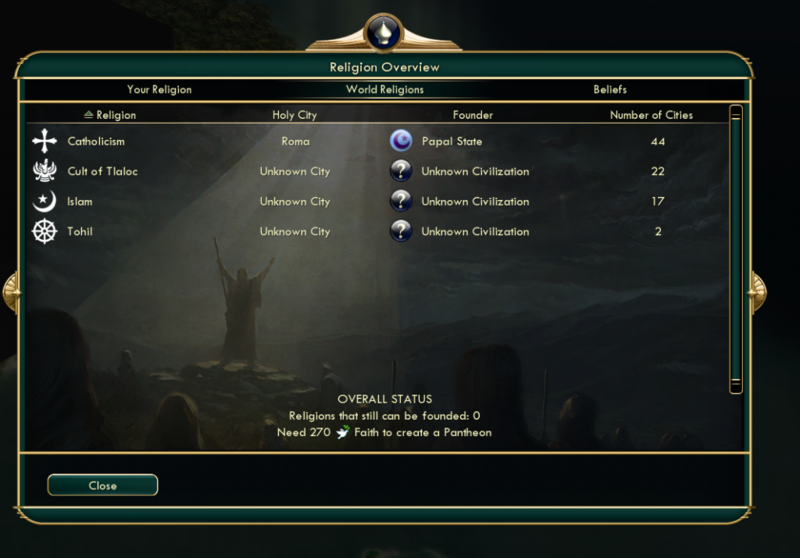 – Civ-specific religions, including Catholicism, Islam, Cult of Tlaloc etc. 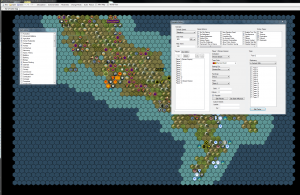 – 2 new playable civs and leaders: Pope Alexander VI de Borgia of the Papal State, and Cazonci Zuangua of the Tarascan Empire. -This is a Huge map, with 13 civilizations and 26 city-states. We required a machine with 8 GB of RAM and an Intel i5 processor 2.0Ghz. It’s highly suggested that players start with quick combat and quick movement both on. -Some players’ systems might not be able to take the map size. If the game will not start on load, lower the graphic settings. I suggest turning shadows and leader movies off first as they take up the most memory. 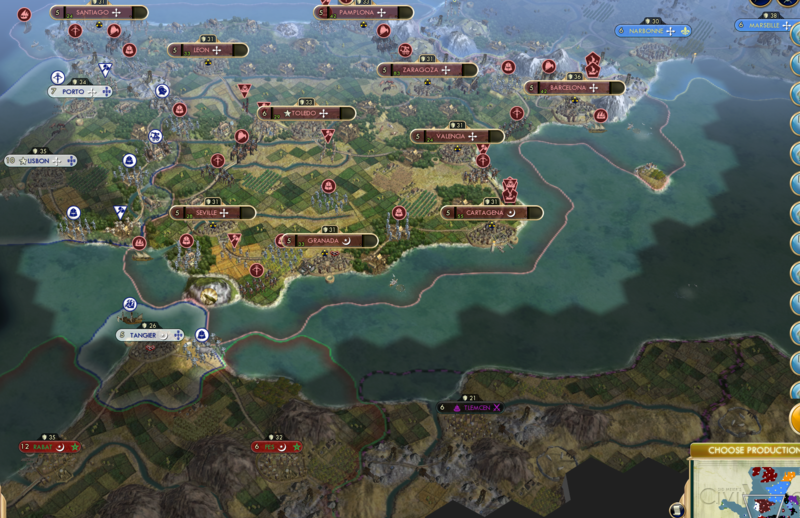 -To play the scenario as intended, make sure to use the 1492 map provided with the mod, and check “Load Scenario” when the map is chosen. 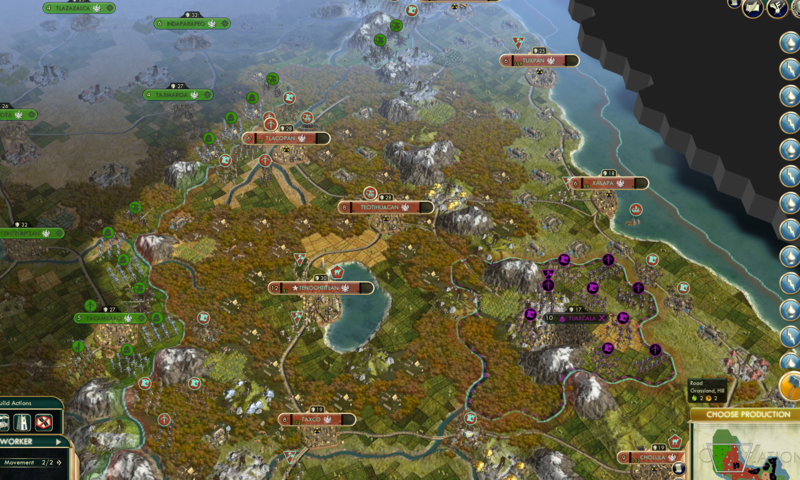 -Prince is the standard difficulty for this map, but we suggest playing on King or higher for experienced Civ V players. 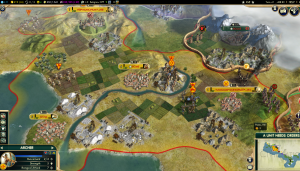 After downloading from CivFanatics or Steam, be sure the entire mod folder is in your \Documents\My Games\Sid Meier’s Civilization 5\MODS directory and you’ll need to copy the map from the map folder to \Documents\My Games\Sid Meier’s Civilization 5\Maps. You need to have both to play the full scenario. 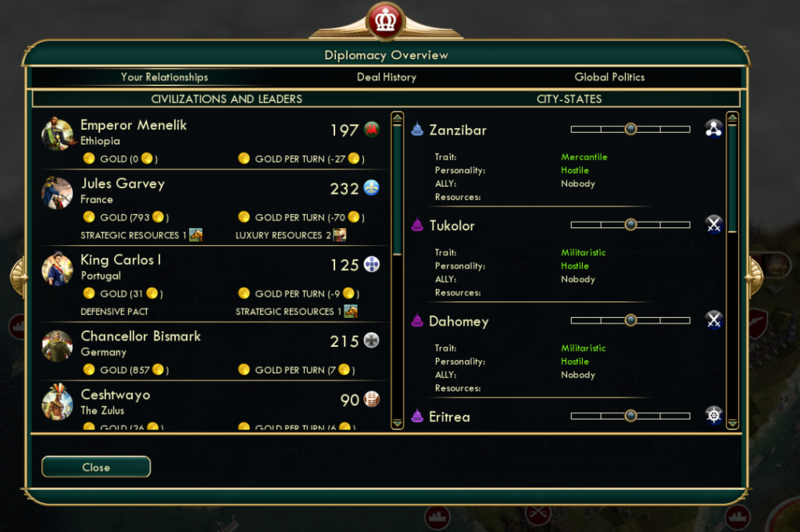 The Dickinson College Colonization of Africa mod for Civilization V, created by Shayna Solomon and Edwin Padilla and advised by Professor Ed Webb and Todd Bryant, aims to teach students the decision-making process of both colonial leaders and those leaders who resisted colonization. The game attempts to represent the starting conditions which were present at the start of the so-called “Scramble for Africa.” The game begins in 1876. We chose this year as the start of the game because it includes exploration as part of the Scramble, as well as representing the desire for conquest. The game focuses on several aspects of society. The geography of Africa has been recreated in game to best represent the proportions of Africa. The game’s map also includes many of the physical barriers which would have limited units’ mobility, such as the Ituri rainforest, or offered defense for a civilization, such as Ethiopia’s defensive advantage of being surrounded by desert and mountains. These aspects of the game help students to understand the difficulty that nations faced when attempting to explore and conquer far outside of their territories. It will also help students to internalize the layout of Africa. Much of Western Europe is also portrayed in the game. European geographic representation is less exact than that of Africa in part because Civ V dictates that a certain amount of land must be available to feed large populations. Advances in travel technology through modern roads and railroads is conveyed in the game and gives students a sense of the critical nature of this technology, especially in Europe. The game also focuses on leaders’ differing ability to overcome obstacles and to expand and protect their empires. The comparative military power of each civilization has been ascertained by historical accounts of military size or of battles. The number of troops and their ability to obtain advanced weaponry indicates military strength in this game. Students will feel the major advantages that the English had over the Zulu or that the Ethiopians had in defending themselves against the Mahdi’s followers. They will also notice, however, that sheer numbers and military strategy can sometimes make up for the absence of advanced weaponry. Other limits to power are money and public opinion. These are also conveyed in the game. Each nation receives 1% of its actual historical GDP in gold, the currency of the game, in order to represent the economic power of each nation. Students will notice that England, for instance, will have more leeway than Portugal in its ability to expand because of its economic strength. Low happiness in the game will cause revolt. This is particularly relevant historically to the recently unified Germany and Italy. Both countries, having not consolidated their power or authority, may be prevented from expanding if they do not make an effort to maintain their populations’ contentment. There are some significant limits on the ability of the game to accurately represent our research. The first problem is that the game cannot represent chaos and confusion. It does not represent unpredictable weather or military units that fail to do as they are told. The game also cannot represent complex political configurations, like suzerainties. Finally, the game does not convey racism and intra-colony racial issues at all. In places like the British Cape Colony, these were essential to policy decisions. Regardless of the limits, the game has valuable lessons to teach to students of international relations and of colonization. It shows many of the challenges of managing one’s affairs domestically while trying to expand or protect existing borders. It also teaches historical lessons about the challenges of power differentials during the colonization of Africa. The mod is available for download on Civfanatics. Screenshots are available below. There is also an extensive ReadMe file detailing the research behind the project. We’re just about set for our week of workshops on Monday. These don’t include our discussions and break-out sessions. As always, all of our notes are public. Select your x axis, y axis, bubble size and set colors to unique. If we use homicides and GDP per capita, do we see a correlation of time. If so, the bubbles should move up and to the right, or down and to the left. Is there a reverse correlation? Do you see any patterns among different countries? To create, we need the data formatted as so, https://docs.google.com/spreadsheet/ccc?key=0AseK2cPi8K7fdEdRSVJFb1F6MlFTQWRmaFNoVk1Kcnc#gid=0. Important, note how in the spreadsheet with all the data, there’s a space in population. Remove the spaces or Google won’t recognize it as a singe number. Choose three to five countries, and create a chart, then change countries by copy and pasting different data. To export to put on a blog post, click the arrow in the top right of the chart and choose Publish. Can paste that code into any html page or blog post. Select your x axis, y axis, bubble size and set colors to unique. If we use # of immigrants and unemployment rate for each axis, we’d expect to find a correlation, so bubbles should move from lower left to upper right or the reverse. Is it true? Will frequently encounter problems when using historical data. Consider Germany was divided. No unemployment rate given for China, so couldn’t use them. West German population is a guess for 1990 since reunified. No data for Mexico unemployment in the 1960s, found 1970 is 7.0, http://bls.gov/opub/mlr/1994/11/art1full.pdf We can enter that in, or leave it out. If we leave it out, Mexico won’t appear until 1975 With all of these assumptions, it’s important to inform the reader. Next week we’ll have our Willoughby workshops, a week of hands on practice for faculty to use and discuss technologies that can help with their teaching and/or research. Most of our notes, as always, are public Google Docs. We’ll encourage them to tweet using #wfp13. Any comments or questions are very welcome.